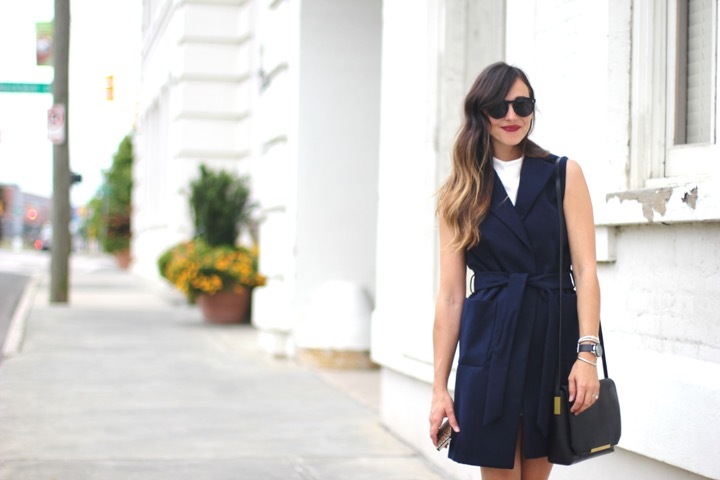 Romper // Navy Vest (also love this one and this one)) // heels (more affordable pair here) // watch (c/o) // bracelets: David Yurman 1,2, Vahan 3 (c/o) // purse (old, J. crew) // Sunglasses – Illesteva Leonard II in black from ShopDitto: get your first pair free with ‘Sunshades’ at checkout, read about how it works here. Fall is on the horizon but the cooler weather is not quiiiiiite here yet. It’s like that awkward period of time when you’re trying to decide whether or not to grow your hair out or cut it short – the in-between stage. I would say I’m breaking fashion rules here by wearing white after labor day and mixing black and navy, but those rules have been long gone for the past two years so if anything I think this look is on trend. I don’t usually “push” stuff on this blog because, let’s be honest, if you want to buy it you will and if you don’t you won’t. 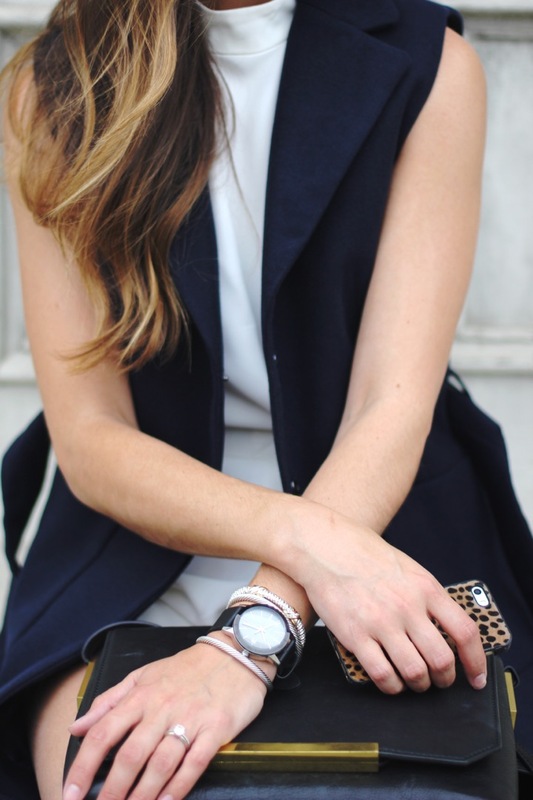 But real talk – this vest is legit quality for $95. It feels more like Tibi and I’m already excited to wear it all fall and winter long as a layer. Things that aren’t that expensive but look expensive? Now that’s something that’s in style to me all-year-around. Hope you had a wonderful weekend and please pass the coffee … let’s do this Monday.